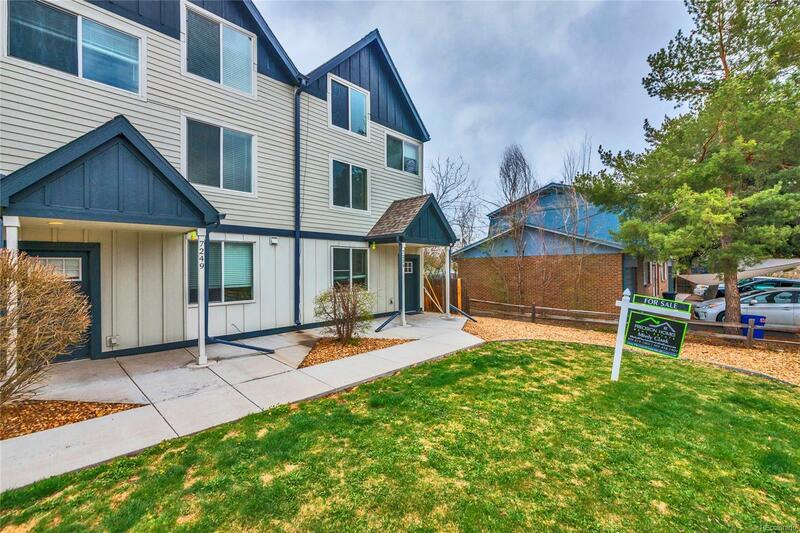 Great updated three bedroom/three bath condo three blocks to the Wadsworth light rail station. This is a condo but lives like a townhouse, one adjoining wall, no one above or below you. Three levels of living space with a fantastic master bedroom with it's own private balcony. Two washer and dryer hookups, one on the upper level and one on the third level. Custom cabinets and granite counters. Stainless appliances including a refrigerator. Newer hot water heater, furnace and central air. Covered parking in the back of the unit. Close to shopping and many restaurants, quick access to Denver and the mountains. Pictures will be updated on Saturday 4/14.